With Thanksgiving almost here (and Christmas close behind), many people are wondering what they can do to avoid gaining weight during all of the different parties and family get togethers they’ll be attending. 1. Track your food. Many times we will simply eat because everyone else is there enjoying the food and conversation. Try to make a conscious effort to be aware of what you are eating and why you are eating it. Keeping a journal of everything you ate at the first party you go to, may help you realize to cut back and refrain at the next party. 2. Plan your holiday meals. Try to plan what snacks you will have throughout the days. It is helpful to have a snack of nuts or fruit just prior to leaving for any holiday parties or meals. Also, be sure to drink plenty of water, many times our bodies will trick us into thinking we are hungry when we are truly dehydrated. The old saying about drinking 8 glasses of water a day is true. I try to drink even more as it helps me feel more full prior to eating. 3. Look up calorie counts. Want to take a bite of that mac and cheese or get a second serving of Mom’s famous pecan pie? Try looking up how many calories are in some of your favorite snacks and meals. When you know that eating another slice will equal another two hours of running, you may change your mind. 4. Schedule your workouts. Everyone’s schedule gets hectic around this time of the year, be sure to start by scheduling time for your workouts. Things to keep in mind when setting your schedule are likelihood that an event will ‘pop-up’, the classic to early to late excuse, or if work or another common function runs late. 5. Bring your own dish to parties. It is usually acceptable (and welcomed) when guests to party bring a dish to share. This will allow you to create a low-cal option in case there are no other healthy options. 6. Limit alcohol. This one can be tough in social settings and parties, but it is important. Alcohol will lower your inhibitions, thus making you you more likely to throw nutrition out the window and invite a time to overindulge. Not to mention the fact that alcohol is pretty high in calories. If you must drink, nurse your drink, choose diet sodas, limit the number of drinks. Another tip is to slip away and refill your drink with water when nobody is looking. 7. Re-gift candies and food you receive. During the holidays it is very common to receive candies and food gifts. But just because you receive one doesn’t mean you have to eat it. Simply find someone else you can share it with (try to be conscious about whether that person is also trying to watch what they eat.) If the person that gave you the gift finds out and asks, just tell them that you really appreciate the gift but are trying to be good and stay healthy. They will understand, especially if you tell them you gave it to a friend as opposed to throwing it away! 8. Bring food to work. Going out every day can not only be expensive but sometimes hard to find a healthy option that you would want to eat. Bring your food and avoid this common pitfall. 9. Add 10 bonus minutes to your cardio. You can spare 10 minutes right? Many experts say that just adding 10 minutes can counter the effects of a little holiday indulgence. 10. Wake up with exercise. People who exercise first thin in the morning are more likely to exercise regularly. Things are less likely to come up and it gets your juices going for the day, many find they are less inclined to eat poorly through the day if they started out with a good workout in the morning. 11. Eat smaller portions. We’re not saying not to enjoy your holiday meal! 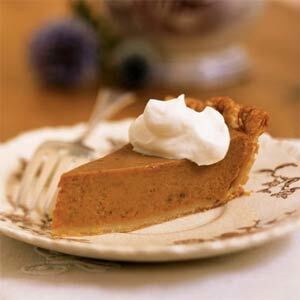 Enjoy all that savory and delcious food, from your mom’s dressing to your granddad’s sweet potato pie. But…instead of heaping waaaaay too much food onto your plate, help yourself to smaller servings – not only will you be able to actually enjoy more of the feast, your waistline will thank you later.